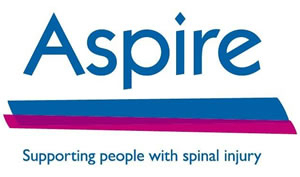 "ASPIRE - Supporting people with Spinal Injury"
Every 8 hours someone is paralysed by a spinal cord injury which affects around 40,000 people in the UK. Aspire is a charity which was established to provide adequate facilities for the disabled. 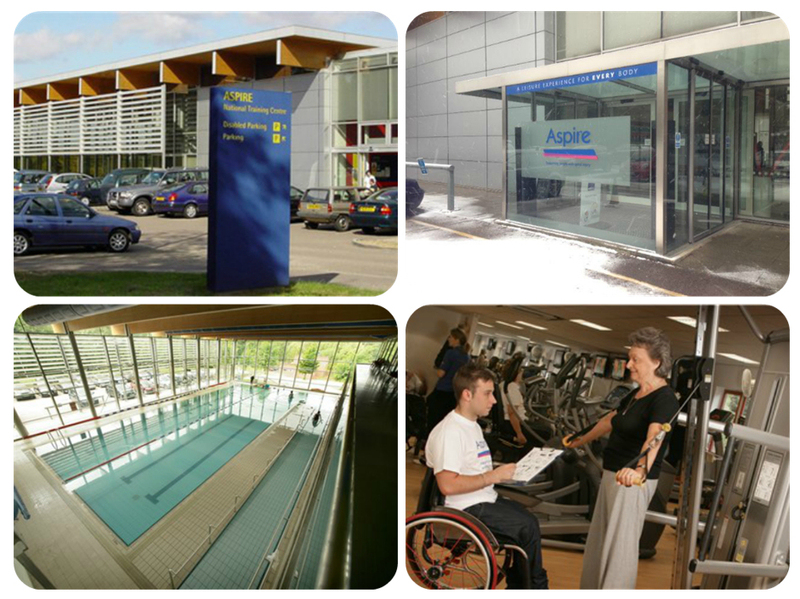 In 1991, HRH the Princess of Wales opened Aspire’s state of the art rehabilitation facility which was built next door to the spinal unit at the Royal National Orthopaedic Hospital, Stanmore. The vision was to promote integration between non-disabled and disabled users. The facility was designed by Andrew Walker, a lecturer at the Architectural Association in London and cost £2 million. Andrew had himself incurred a spinal injury and was a wheel chair user. The new facility was so successful that in 1998 a further £5 million was raised for an extension to double its size. The new extension included a swimming pool, dance studio, café and training suite. Aspire offer a wide range of services for people that have just been discharged from hospital, to people who have been living with their spinal cord injury for years. Every person living with a spinal cord injury is different but they all have the same goal in mind – to get back to the life they had before their accident. Aspire do what they can to make that possible. Many of the facilities available are used by both disabled and the non-disabled. Encouraging all to feel integrated and as one together. Fitness suites offer equipment for everyone and a swimming pool with ramped access for wheelchair users. Aspire housing is a programme which provides fully accessible properties around the UK. These homes are designed for the newly injured to live in for a temporary period of time whilst they are either waiting for their own home to be adapted to their needs or looking for a new property. A spinal cord injury changes someone’s life. One of the main worries for those who are newly injured is where are they going to live when they come out of hospital. Their old home won’t be suitable for their needs. Work tops have to be lower, entries to rooms need to be wide enough to accommodate a wheelchair and stairs to go to bed are not an option. These are just some of the things that are no longer suitable after injury. Aspire understand that this is an incredibly stressful time for someone. Their accessible homes are dotted all over the UK and are fully kitted out with everything from cutlery to sofas so tenants can move in immediately. All homes are at least 2 bedrooms so can accommodate a family. Aspire housing makes it possible for someone to be back with their friends and family to get on with their lives away from the hospital. 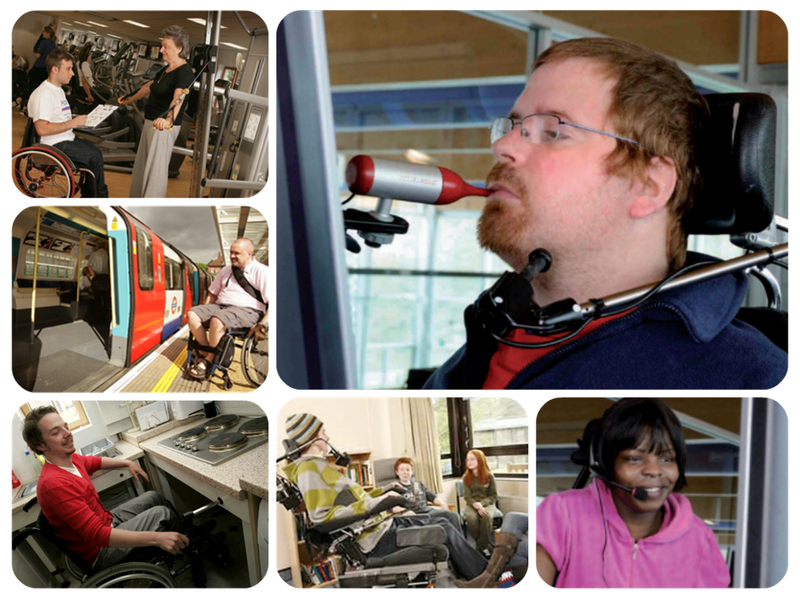 Assistive Technology software was introduced in spinal injury centres across the UK in 2006. Using a computer is an everyday experience for most and with software such as the Dragon NaturallySpeaking voice recognition, this made the use of computers possible for people again. Thus allowing them to return to work or even just to communicate privately with friends and family. One of the most important things for people living with a spinal cord injury is independence and understanding. Aspire employs over 50 permanent members of stuff covering all areas of the charities services to make a difference to someone every day. Independent Living Advisors all have spinal injuries themselves so can relate to all the emotions a newly injured person is experiencing. They are on hand to share their experiences or just for a chat. It is always helpful to speak to someone who truly understands and can offer advice on many topics, whether it be getting around using public transport or how to prepare for the next summer holiday. Aspire relies on the generosity of the public as it currently receives no statutory funding. They use the money funded to purchase much needed equipment, Independent living advisors and the Assistive Technology software in the centres. Did you know that a lightweight wheelchair costs in excess of £4000? Disability is expensive. There is a lot of equipment required and adjustments to be made for people to live comfortably. Aspire hold many fundraising events throughout the year. Every penny counts and helps Aspire to continue to provide the fantastic services and facilities currently available. Aspire is a charity full of passion and is driven to providing people with spinal cord injuries the best equipment and facilities currently available. They offer support and funding for all stages of living with a spinal cord injury, making the change of lifestyle easier to cope with. Whether it is physical construction changes within a home or speaking to an Independent Living Advisor for support, every facility available through Aspire is simply life changing for many people. Freedom of Speech fully support Aspire and will help to develop their Assistive Technology department further. Together we aim to make tomorrow a better day for those with a spinal cord disability. Newer:"AT for Children"Older:"Speech recognition software…science fact or science fiction?"